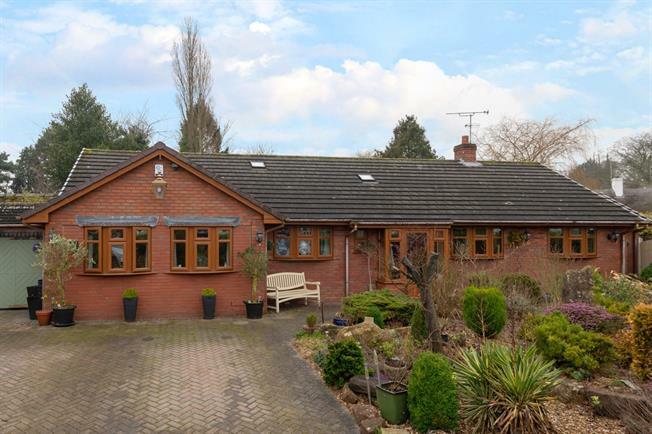 4 Bedroom Detached Bungalow For Sale in Stafford for Offers Over £380,000. This property's price has dropped from £400,000 to Offers Over £380,000. A rare opportunity has arisen for you to purchase a superb detached bungalow in Weston. The bungalow sits in a good sized plot with ample parking and in brief comprises porch, entrance hall, lounge/diner, kitchen, utility room, conservatory, master bedroom with wet room, three further bedrooms, family bathroom and Guest WC. To the front of the property there is a driveway providing off road parking which leads to the car port to the side together with a landscaped low maintenance garden. To the rear there is a further landscaped garden with enclosed sun terrace and a variety shrubs and plants. Having Upvc front door with tiled flooring. Having radiator, coving, airing cupboard, two light tunnels. Having low level WC, wash hand basin set in vanity unity, part tiled walls and double glazed Upvc window to the front. Having a range of matching wall and base units with work surfaces over, incorporating a single draining sink unit, built in eye level cooker, gas hob, space for appliances, radiator and Upvc double glazed window to the front. Having base units with work surface over incorporating a single draining sink unit, space for washing machine/tumble dryer, space for fridge freezer, Upvc door and Upvc double glazed window to front. L-shaped open plan lounge with dining area, having feature fireplace incorporating a coal effect gas fire with tiled hearth, coving, radiator, Upvc double glazed window to front and side and double glazed sliding patio door to conservatory. Of Upvc and brick construction, three velux roof lights to ceiling, Upvc double glazed window to side and rear, and Upvc double glazed door leading out onto rear garden. Having Upvc double glazed windows to front and side, and two radiators. Opening through to wet room. Having tiled walls and floor, electric shower and heated towel radiator. 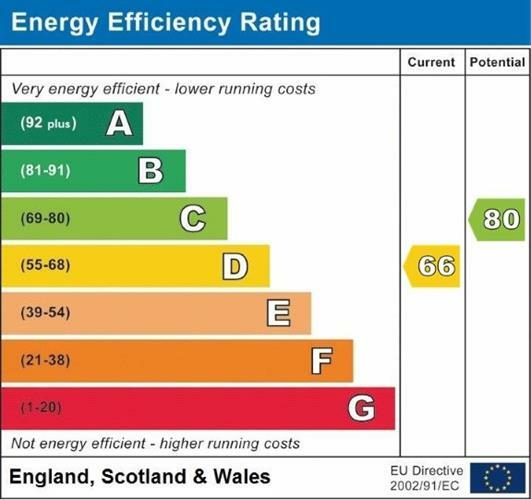 (measurements are maximum to back of wardrobes) Having double glazed window to the rear, radiator, coving and built in wardrobes. Having double glazed window to front, radiator and coving. Having double glazed window to rear, radiator, coving and built-in wardrobes. Having panelled bath with electric shower over, pedestal wash hand basin, low level WC, part tiled walls and floor. To the front of the property there is a driveway providing off road parking for numerous vehicles which leads to the car port together with a landscaped low maintenance garden. To the rear, there is a further landscaped garden with a variety of plants and shrubs together with an enclosed sun terrace.